Remember those Magic Eye pictures that were all the rage in the 90s? They were patterned images, that when stared at for long enough, revealed a hidden 3D shape. 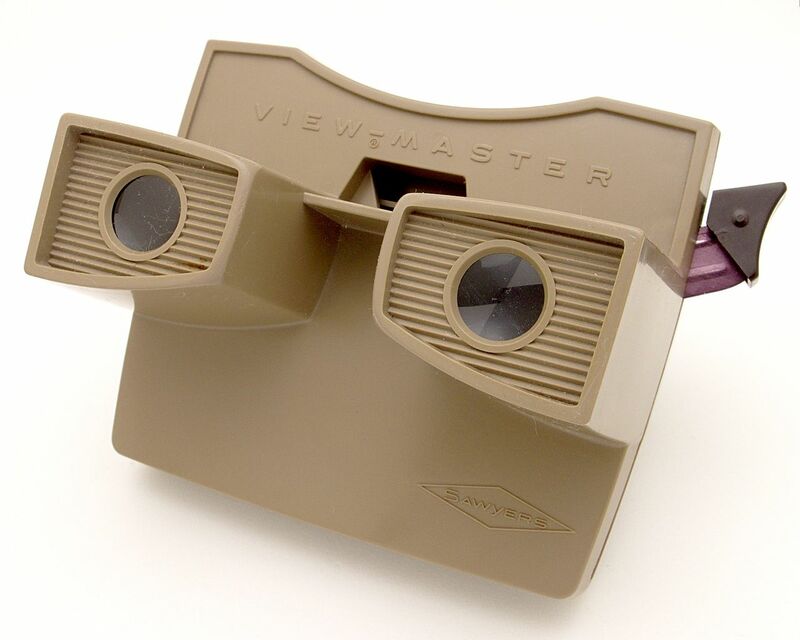 What about View-Masters where you looked through a pair of binocular like lenses at a reel of 3D images? Although a seemingly recent invention, both had their origins in the late 19th and early 20th century, where stereographic images of scenery were a popular means of entertainment. Magic Eyes, View-Masters and stereographic images all rely upon the same principles to create the illusion of a 3D image. 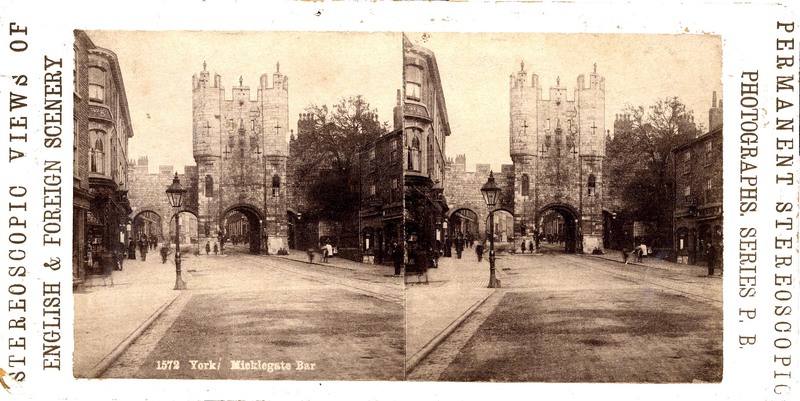 After a nosy around our digitised archives last week I stumbled across a collection of stereographic images of places in York like Micklegate and Bootham Bar (see below). These images formed part of a series of “Stereoscopic views of English and Foreign Scenery” which would have been viewed using a stereoscope. Much like View-Masters they allow each eye to see a slightly different angle of the same image, producing a 3D effect. This is exactly how we see in three dimensions (or stereo) every day. Here is an explanation of how it works from the Getty Museum. 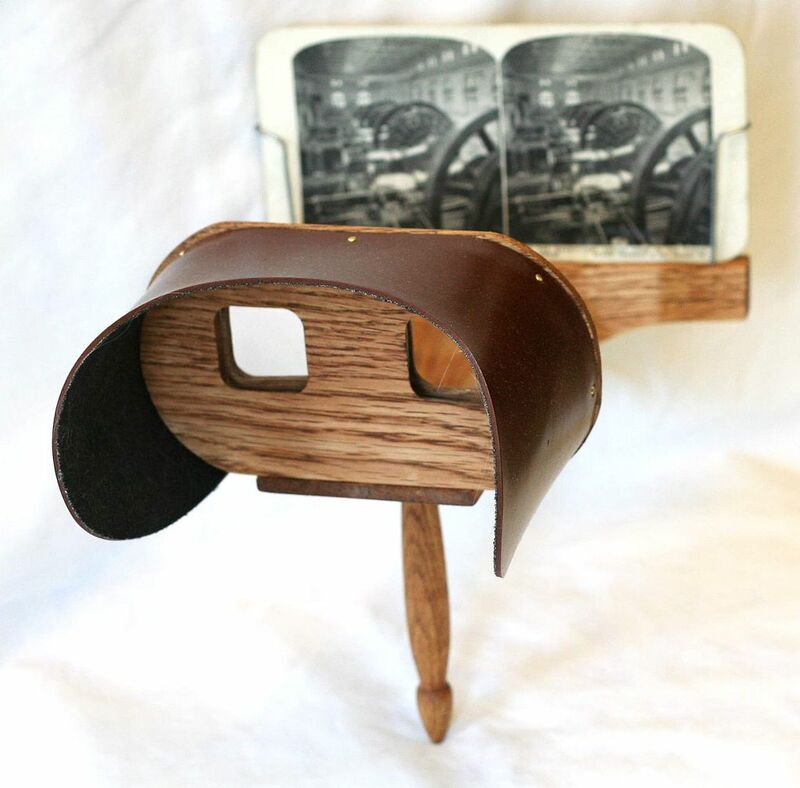 But… it is possible to train your eyes to see stereoscopic images without a stereoscope! Have a go by staring at the images above and allowing your eyes to relax and cross over – can you see our York images in 3D? If you need some help doing this, have a look at this guide. Still finding it tricky? Here is what they should look like when you view them in 3D (without the movement), courtesy of the New York Public Library’s Stereogranimator Project. These are flashing images. 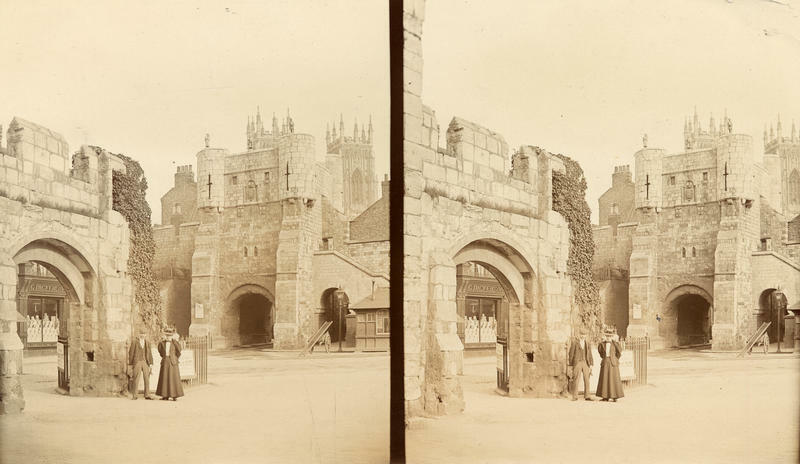 To see more, explore our Flickr album of Stereoscopic Images of York from our Imagine York collection. More stereographic images can be found via the NYPL’s Stereogranimator Project website by browsing the New York and Boston Public Libraries’ Collections in the drop down list. You can even create your own – share these with us on twitter @YorkArchivesUK or on Facebook! This entry was posted in Uncategorized and tagged Collections, History of York, Imagine York, Old photographs, Stereographic Images. Bookmark the permalink.